We thought the Broncos would be better but this much better? With a representative break last weekend and 8 games behind us, what better time for a Trimester Report? I’ve thumped this out in 2 parts. I ran Part 1 last week which covered the bottom half of the ladder. Part 2 covers the top 8. As always, reverse skating direction. Penrith have been steady but not spectacular, apart from their round 2 smashing of the Titans. They have great depth, although most of it is of the untried, youthful variety, which isn’t always fatal but can be. They have had a spate of injuries but probably the crucial issue is that the injuries are to key players. Jamie Soward, Peter Wallace and Jamal Idris (lost for the season) have all spent long stints on the sideline. That more than anything has stunted their progressive year on year improvement. Matt Moylan – He is the real deal and he will just keep getting realer. He had a solid First Trimester and is a real shot for his first Origin jersey provided injury doesn’t derail his chances. Sticking with my pre-season prediction here, I think they will narrowly miss the 8. Roosters, Bulldogs and Warriors will be putting upward pressure on the Panthers for the balance of the season and the Panthers just keep accruing key injuries of the long term variety. Soward and Wallace may come back and steer them into the 8 and I will have to eat humble pie but I still can’t find a place for them in the 8 come end of season. Despite all of that, the Titans find themselves in the 8 and on a 3 game winning streak due to (and in no particular order) stellar play from Ryan James, William Zillman, James Roberts and Kane Elgey, astute coaching from Neil Henry and generally playing better than everyone expected. William Zillman and Ryan James – Will Zillman seems a lot older than his 28 years, probably on account of some of the injuries he has suffered over the years. Forced once again to defend his coveted Fullback position from Josh Hoffman, it seems to have brought out the best in him again. Ryan James on the other hand is equally deserving of this imaginary award. He has been playing in a manner befitting of his size. He has been massive for the Titans, has continued his upward trajectory and is in discussions for a bench spot for the Blues. Just can’t see them keeping this up. I definitely underestimated their capacity when I picked them to finish 14th but just can’t see them holding on to a top 8 position either. Probably tracking towards 10th or 11th now. Sneaky good spine now with Kierran Moseley, Kane Elgey, Aidan Sezer and the two headed monster made up by the combined efforts of Josh Hoffman and Will Zillman. I started my pre-season preview for the Rabbitohs with the phrase ‘they thought the mountain was steep the first time’. Aiming up every week is a necessity when you are the Premiers. All of their opponents will be (and have been) up for it. Cracks have already started to appear. Souths had a dominant pre-season and rolled straight into 3 straight wins before their first hiccup against the Eels. The next week against the Bulldogs was the real turning point with the serious injury to Adam Reynolds the straw that broke the camel’s back. They had already suffered injuries to key positions but that really put a fly in the ointment. They have lost 3 in a row since then and while their season couldn’t be considered ‘in freefall’, their premiership credentials have certainly been dented for the time being. Greg Inglis – He is still one of the best. Captaining the team hasn’t blunted his effectiveness and he has had to carry a bigger load in the absence of Reynolds and Sutton. He will be livid after making a crucial mistake against the Kiwis last weekend. Opponents should watch out. I still think a top 4 position is in play and Adam Reynolds’ injury could be a blessing in disguise if it means he escapes Origin selection and is fresh for the back half of the season. Much will depend on whether the Bunnies rush him back or not. They should be cautious with a knee injury. Will miss the variety that Glenn Stewart provides in attack but this will be partially offset by John Sutton’s return from injury. I don’t think they will repeat as Premiers but they will be there and thereabouts. I think the Tigers are right about where I thought they would be. 5th to 11th is only being determined by for and against at the moment so the competition is very close. While they have lost 4 games, all of those games were close. Woods, Taupau, Farah, Brooks and Tedesco have all been performing as advertised with the indestructible Pat Richards surprisingly continuing his stellar play from last year. Not completely convinced by Jason Taylor’s long term coaching credentials but can be convinced otherwise. This is a side brimming with potential and it is only Year 2. So far, so good. Aaron Woods – He is a man mountain and leader of the forward pack. He also has great hair. Martin Taupau is his able accomplice but Woods has led the way for the Tigers in the middle third. Should make the Blues as well but will be vital for the Tigers finals hopes. I like how they are tracking. Still think they are good for 8th place. Injuries aren’t really hampering them at this stage with all their starting team due back on deck by round 13. Didn’t they start badly and doesn’t that seem like a long time ago. Cowboys fans the world over know how streaky the Cows can be but it wasn’t just losing the first 3 games that worried them, it was the fact that Roosters beat them 28-4 and the Broncos beat them 44-22 that had them really worried. The Cows looked very out of sorts. Given the toll Origin takes on the Cows it looked like one of those seasons where the Cows don’t get off the starting line. There has been a few of them. What a difference the last 5 games has brought. Now they find themselves in 4th position on a 5 game win streak. The forward pack has woken up again. Mat Scott, James Tamou and Jason Taumalolo have been very impressive. JT has been JT and Michael Morgan and Lachlan Coote have also looked awesome. Happy days. Johnathon Thurston – Who else? Enough said. Losing Jason Taumalolo until round 14 is a big blow. He would have been particularly useful during Origin. I can see at least one cold streak during Origin and another hot streak towards the back end of the season for the Cows. All the usual suspects will be the usual suspects but they need to finish in the top 4 to have any chance of a premiership. It is too hard to win one from the bottom half of the top 8. Too many big games. I still see them slipping into the top 4. The competition is close but that also means opportunities for more teams than usual. If they can jag some wins during Origin, this season could still be special. Reports of their death have been greatly exaggerated. During my pre-season deliberations I grouped Manly and Melbourne in the same boat and couldn’t find a place in the 8 for both. Unfortunately, for the accuracy of my prognostications, I went with Melbourne dropping out of the 8 and Manly making it. It is looking like I could be wrong on both accounts. Ironically, the Storm have suffered 2 narrow defeats against Manly. If not for those they would be on top of the ladder. Billy Slater, Cameron Smith and Cooper Cronk have been who they always will be, unbelievably awesome, but it is the balance of the team which has really been the difference in the First Trimester. Jesse Bromwich, Kevin Proctor and Tohu Harris have been earning their keep. Will Chambers has been effective and Blake Green is continuing Craig Bellamy’s reputation for identifying underrated talent and giving them a home. Jesse Bromwich – He is in the discussion, along with Matt Scott, James Graham and Ben Matulino, as the best prop in the competition which was only enhanced against Australia on the weekend. Aren’t Melbourne happy he will be around for the whole Origin period. I’m still not entirely convinced they are contenders for the premiership, especially given the load carried by the Big Three during Origin, but my predictions of their untimely capitulation from the top 8 may have been premature. See them in that 7th or 8th position for the end of the season but many a slip betwixt the cup and the lip. It is safe to say that Manly have been the biggest disappointment so far this season. The other side of the coin belongs to the Dragons. They have been treading water for a couple of seasons since Wayne Bennett left and look set to do the same this year with Benji Marshall making no apparent difference when added beside Gareth Widdop last year. Adding a pre-season has certainly made a difference for Paul McGregor. The Dragons find themselves in 2nd place and while I don’t think for a moment that they will end the season that way, it is safe to say I underestimated them with my pre-season prediction of 15th. That is looking a bit silly now. Still think they are a bit small in the forwards (as famously pointed out by Willie Mason) but Mike Cooper, Tyson Frizell, Joel Thompson and Trent Merrin have made up with enthusiasm what they lack in size. 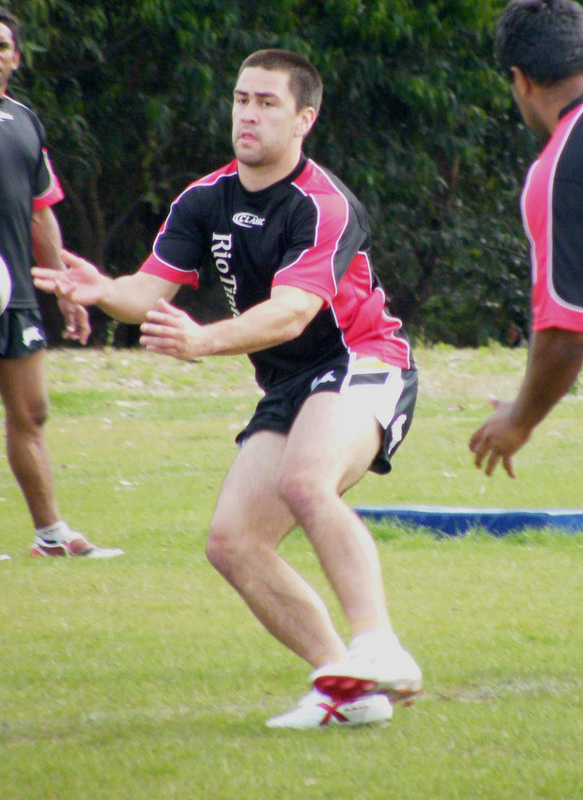 Benji Marshall and Gareth Widdop have been playing well and Euan Aitken has been a solid addition to the back line. The big difference has been defence. Teams are averaging just under 11 points a game against the Dragons which is number 1 in the league. Conversely, their attack is ranked 2nd last with an anaemic 14 points per game. They are certainly doing enough to win but not by much. Benji Marshall – I never jumped off the Benji Marshall bandwagon. I think defences have adjusted to his playing style but he is not an old man by any means and this season has proven that he is still a quality player. He will need the Dragons pack to continue their stellar play for him to maintain the form he is in but most halves are in the same boat. As I’ve said in almost every review in this Trimester Report, the competition is as close as ever and a slip in form or a rash of injuries could be catastrophic for any team including the Dragons. Having said that, injuries have been very kind to the Dragons with only Dan Hunt and Dane Neilsen (sacked for conduct issues) out from their first team for any length of time. Josh Dugan is a bit banged up but given his style of play that is par for the course. Should only lose Dugan and Merrin for Origin too. With their improved defence I expect that the Dragons will probably make the 8 but I don’t see them making a lot of noise during the Final series. Everyone expected the Broncos to be better this year, certainly in Queensland, but not this much better. Top of the ladder after 8 rounds and multiple stories are coming out of the Broncos about strengthened discipline and accountability with senior players not immune from Wayne Bennett’s measures. Unlike his project at Newcastle, Bennett didn’t really have to blow the Broncos up and start again. He tweaked around the edges, strengthened their defence and relaunched them. It is Broncos 3.0 and the crowds and TV audiences are back (the NRL is breathing a sigh of relief). Probably the most amazing thing is that Anthony Milford was fairly quiet in the first part of the season and they haven’t had Darius Boyd at all. Anthony Milford is warming up now. 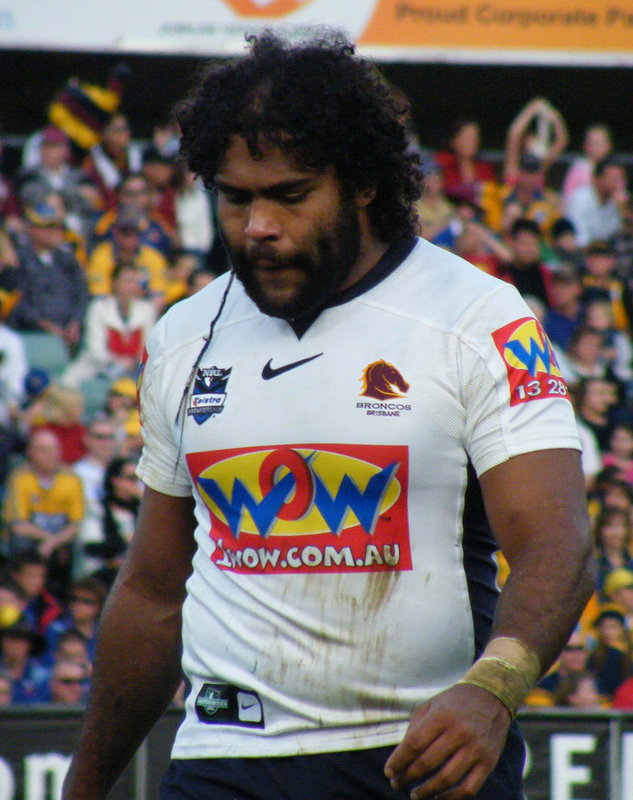 Thaiday has been in career best form. The backs have been solid with Jordan Kahu a pleasant surprise. Ben Hunt has continued his trajectory and must be pushing DCE for that bench spot in the Origin team. Ben Hunt – As mentioned above, keeps improving year on year. Is finding the benefit of greater consistency in the forwards and some more options in attack. Has been a game breaker on occasion this season. Just needs to find consistency to reach the top pantheon of halves in the competition. Looking good. I expect them to continue this trajectory. They are a consistent side in terms of performance now and won’t be as affected by Origin as in the early days when Queensland = Broncos. Will definitely lose Sam Thaiday and Corey Parker but Justin Hodges isn’t first picked these days and Anthony Milford, Ben Hunt, Josh McGuire and Matt Gillett could all be picked but aren’t certainties. Still tracking for 2nd. I’m thinking they will do well in the Finals but won’t win the whole thing. I think they will be contenders next season. The Kiwis. Simply awesome. More on this next week. The Dubs. Gaining momentum. Only the one loss to Memphis so far. International breaks. Also awesome and has led to a spate of discussions about how to make international Rugby League even better. At least a positive conversation is starting. Bournemouth, champions of the Championship. Have a soft spot for the Cherries. Their Premier League adventure starts now. NRL representative break last week. Honorary mention to the Kiwi front rowers who churned up plenty of metres at Suncorp. Richard Fa’aoso (Eels) for Rory O’Brien (Dragons) – Origin proofing + O’Brien hasn’t been playing for the Dragons. Delouise Hoeter (Tigers) for Tui Lolohea (Warriors) – Origin proofing + selling Lolohea high before Tomkins comes back + Hoeter is the latest cash cow with Simona injured. Marcin Wasilewski (Leicester) for Alex Bruce (Hull) – Strengthening my bench. Mignolet (Liverpool), Clyne (Southampton), Ivanovic (Chelsea), Terry (Chelsea), Sanchez (Arsenal), Eriksen (Spurs), Henderson (Liverpool), Hazard (Chelsea), Silva (Man City), Kane (Spurs) and Austin (QPR) with Hamer (Leicester), Vardy (Leicester), Bruce (Hull) and McShane (Hull) on the bench.